DELEGATE IS NOW LIVE SO PLEASE VOTE! My name is Jamie, a 27-year-old digital marketing expert from London with 8+ yrs experience. I am running a delegate to fund the running of a highly targeted Paid Ads (PPC) campaign on Google AdWords. To raise awareness of ARK within the wider cryptocurrency market, by amplifying ARK’s global reach. Banner ad placements on thousands of websites (using the Google Display Network). Targeting people who’ve recently searched for keywords, such as: “alt coins”, “best alt coins”, “alternatives to bitcoin”, “alternatives to ethereum”, etc. Impressions (views) of the banners create brand awareness. Clicks send traffic to the ARK.IO website (https://ark.io/). — 30% (~38/Day) – personal share; operating costs; taxes, etc. My name is Jamie, a 27-year-old digital marketing expert from London. After deciding to diversify from Bitcoin, I only recently came across ARK but can already see huge potential in it -and the thriving community and eco-system which underpins it. So, I am excited to become more involved in the community and hope that I can offer something back to it! I have over 8 years of commercial digital marketing experience – specialising in running large scale paid ad/paid media campaigns (PPC). Over the years I have created and managed several large AdWords campaigns for a range of clients – some with yearly ad budgets of ~£1mln. In addition, I have some necessary skills in graphic design (Adobe) and basic front-end web dev skills (HTML5/CSS3). I am proposing that I put my unique set of skills and years of experience in paid advertising to good use, by creating and managing a targeted ad campaign for ARK – funded by running a delegate node. The goal of the campaign will be to raise awareness of ARK within the wider cryptocurrency market, by giving the ARK.IO website (and publications about ARK) significantly more reach, through using the power of the Google Display Network. I am aware that some efforts in this area have been made by other community members, such as getting banner placements on coinmarketcap.com – but by using the power of the Google Display Network, I plan on getting ad placements on not just one or a handful of sites, but thousands of sites – while still remaining highly targeted (due to the way in which the GDN is able to serve ads based on users Google search data). For example, the campaign could be setup to specifically target people who’ve searched on Google recently for keywords such as: “alt coins”, “best alt coins”, “alternatives to bitcoin”, “alternatives to ethereum”, etc. This could generate potentially millions of ad impressions (brand awareness), and thousands of clicks to the ARK.IO website. As for boosting the reach of publications about ARK – this aspect of the campaign would work much in the same way, but instead of promoting the ARK branding and ARK.IO website via banner ads – text ads containing the headline and a snippet from the relevant publication would be used. Text ads served to this audience would subsequently (if clicked), send traffic to a relevant publication about ARK. An article like this only receives a large amount of traffic while it’s being actively promoted by the publisher (on the homepage for example), and therefore has limited exposure. But by using paid ads to amplify its reach, it has the potential to achieve a hundred-fold greater effect. IT’S IMPORTANT TO CLARIFY THAT THE GOAL OF THIS CAMPAIGN IS ONLY TO AMPLIFY THE REACH OF EXISTING PUBLICATIONS ABOUT ARK – NOT TO CREATE PUBLICATIONS! This is a critical distinction, which ensures that the activity of this campaign does not in any way disrupt or interfere with what the ARK Core team are doing in terms of their own PR and marketing. The campaign will obviously require some design work, so I intend to design several sets of proposed banner ads for the campaign. The art-style of existing banners on the official ARK.IO Media Kit - https://ark.io/media-kit/ - will be the inspiration for the new banner designs (bearing in mind that most of these banners relate to the TEC; so, some re-design will be needed). All proposed artwork will then be submitted to the community for approval. Any proposed artwork which does not meet the expectations of the project supporters will be scrapped – giving the community a high degree of control over the way in which the ARK brand is advertised. Due to the fact that a large proportion of the forged ARK will be needed to fund the campaign (PPC is expensive), it will not be possible to provide voters with a high return (profit share), when compared to other profit sharing pools. Instead, voters should consider the long-term positive effects which will ultimately be felt as a direct result of supporting the ark.ads delegate. That said, there will still be a decent profit share returned to voters as a thank you for their support! In order to use ARK funds on AdWords, they will need to be first converted into fiat currency. I intend to achieve this by using an exchange such as Bittrex where ARK will be exchanged for BTC, then transferred to CEX.IO where it can subsequently be withdrawn in my local fiat currency (GBP). In times where we are not forging due to dropping from the top 51 delegates, the AdWords campaign will simply deplete its budget and remain in a ‘Paused’ state, until forging resumes. All withdrawals to fiat currency will be logged and shared with the community – detailing the exchange rates at the time of exchange, and any exchange/transfer fees incurred. In order to maintain absolute transparency, I also propose setting up a ‘Read Only’ user on the AdWords account. The login details of which will be shared with the community; effectively allowing a window into the AdWords account, so that supporters can verify deposit amounts, and see exactly how the ad budget is spent, and most importantly – how the campaign is performing. The ‘Read Only’ user login credentials can then be publicly shared with voters. It’s important to point out that it will not be possible to track audience behaviour; such as ‘Time on Site’, ‘Bounce Rate’ and other useful metrics. It will also not be possible to setup any form of ‘Conversion/Goal’, or ‘Event Tracking’ of any kind, to measure things such as % of clicks which resulted in a download of the ARK Desktop Wallet, or % of clicks who viewed the ARK Whitepaper (actions which would typically be very strong KPIs). This reason for this limitation, is due to the fact that there will be no access to the Google Analytics property for the https://ark.io/ website (or other third-party sites such as CoinTelegraph). The only potential solution to this, is if the ARK Core team were to allow me to obtain a regular Custom Report from their Google Analytics Profile, which would exclusively account only for all traffic generated by the paid ad campaign. This is entirely possible via the use of special parameters in the ‘Ad Destination URL’ in AdWords, along with some simple configuration on Google Analytics. But this would require the direct support and involvement of the ARK Core team (and would still not solve the problem for other third-party sites such as CoinTelegraph). However, all is not lost. As the campaign could still be adequately measured by the more traditional KPIs outlined above (Impressions, Clicks, etc.) – which should provide a good enough indicator of the overall impact of the campaign. Thank you for taking the time to read my delegate proposal. If you have any questions or concerns about the proposal, I would be glad to address these too! 30 ARK won every day! Will definitely look into this. Great post. @OhCryptoGuy Thanks for the positive feedback! Still looking for voters to help take this idea forward. Remember, as soon as we reach the Top 51 delegates and begin forging, the profit share is a huge 97% (with zero fees) for at least 2 months, while the AdWords campaign is being developed and peer reviewed. This is a great opportunity to not only earn a great initial profit share, but to also increase the overall value of your ARK in the months and years thereafter - by raising awareness of the ARK.io platform to millions of potential users who may otherwise not discover it. In short, your vote will actively be helping to increase ARK’s market capitalization! UPDATE: We briefly hit #62 over the weekend but sadly didn’t keep our position. Nonetheless, it is still encouraging to see some voter activity! I think Pay Per Click Advertising is one of the best ways of promoting and advertising a business at a very affordable price. I have seen lot of my friends improving a lot in their business with the help of such services. I am very much grateful to digital marketing in today’s world. 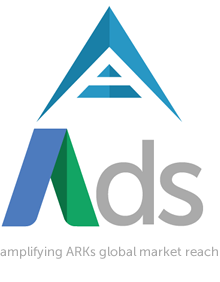 Looks like your connection to Vote ark.ads – PAID ADVERTISING CAMPAIGN (ADWORDS PPC) // RAISE AWARENESS & GROW ARK&apos;S MARKET CAP. // 97% PROFIT SHARE!!!! was lost, please wait while we try to reconnect.